Durham is earning a reputation as a bicycling destination. Also known as the "Bull City," Durham was compared favorably to Portland at the 2015 North Carolina Bike Summit. Area bicyclists like that comparison, but they say there is much work to do before they catch that Oregon city, which is often cited as a leader in U.S. urban biking efforts. Durham has a Comprehensive Bicycle Transportation Plan, adopted in 2006, which set out an ambitious goal of 852 miles of recommended routes. As of Dec. 31, 2014, the city had 35.4 miles of bike lane, and additional restriping is ongoing in 2015. The city offers online bike maps (PDF) to help cyclists get around, and about 200 bicycle racks for parking once they reach their destination. Paper copies of the bike map are available from the city and at local bike shops. In 2010 and again in 2014, Durham was designated as a bronze-level Bicycle Friendly Community by the League of American Bicyclists. The city as an employer is a silver-level Bicycle Friendly Business. Also in the community, Duke University is a bronze-level Bicycle Friendly University and the National Institute of Environmental Health Sciences, located in neighboring Research Triangle Park, is a bronze-level Bicycle Friendly Business. Durham has an active student population with three campuses near downtown: Duke University, North Carolina Central University, and Durham Technical Community College. Older businesses, shops and gas stations in the downtown area have been converted into restaurants, bakeries, breweries, music venues and bike shops. Those new businesses make perfect cycling destinations for students and residents alike. “People are getting more and more comfortable doing their own thing in riding around Durham,” Warman says. The center of the city, once the home of numerous tobacco warehouses and cigarette factories, has been revitalized by the restoration of the historic American Tobacco Campus and Brightleaf Square. Numerous employers have followed that development and, in turn, Durham’s bike commuting population has more than doubled in the past five years. However, it is still a small fraction of all workers, at only 1.3 percent as of 2012 -- the most recent official count. Dale McKeel, the city’s Bicycle and Pedestrian Coordinator, says new counts that are planned should show an increase in ridership. The growth of the downtown district has attracted several bike shops, including Seven Stars Cycles, Bullseye Bicycles and Durham Cycles. Complete streets designs on four major corridors. The city has a real treasure in the American Tobacco Trail (ATT) a 20-mile Rails-to-Trails project on an abandoned railroad bed originally built for the American Tobacco Company. The northern trailhead is just across the street from the Durham Bulls Athletic Park. Other off-road routes available to bikers include the North/South Greenway and the Pearsontown and Rocky Creek Greenway. Durham’s cyclists have numerous weekly rides to choose from, including events hosted by several bike shops. Durham takes part in Bike Month and Bike to Work Day, as well as Bike to School Day. Durham also draws a national cycling event. Tour de Fat, New Belgium Brewing’s traveling celebration of all things bicycle, has put Durham on its schedule for the past few years. Other local events include: an annual tweed ride; Bike-A-Bull City, hosted by Bike Durham; the Habitat for Humanity Bull Moon Bike Ride in July; and the Ninth Street Derby, held in the spring and sponsored by the Duke University Cycling Team. Many of the neighborhood roads around downtown have one-way streets and would better serve cycling if they were converted to two-way streets, Warman says. Improvements planned through December 2015 include the installation of on-street bike parking corrals and the installation of permanent bicycle and pedestrian counters. The city also has several Complete Streets projects in the works. The city’s 2006 bike plan is set for review and update beginning in 2016, according to McKeel. Ride the American Tobacco Trail. TheAmerican Tobacco Trail (ATT) is a true gem for recreational cyclists and commuters. You’ll enjoy 20 miles of paved and hard-packed dirt, starting at the northern end near the Durham Bulls Athletic Park to the southern end in Chatham County. This Rails-to-Trails project is part of the East Coast Greenway and is open to pedestrians, cyclists, equestrians (in non-urban sections) and other non-motorized users. Visit the American Tobacco Campus. The American Tobacco Historic Districtis a collection of historic tobacco factories and warehouses near the ATT and the Durham Bulls ball park. Visitors enjoy shopping and strolling among14 buildings built by the American Tobacco Company from 1870s to the 1950s. The historic district has been restored as part of an urban renewal project, and features from its tobacco past – including the Lucky Strike smokestack -- have been tastefully preserved. Destination Ninth Street. Located just a few blocks from Duke University’s East Campus, the Ninth Street District has a mix of shopping and entertainment venues, as well as more than 40 restaurants. Old meets new—from Durham Athletic Park to Durham Bulls Athletic Park. If you’re a fan of baseball and the movie Bull Durham, visit Durham Athletic Park, a former minor league baseball stadium that was home to the Durham Bulls from 1926 through 1994. The DAP, as it’s called, was featured prominently in the 1988 film Bull Durham. Next, ride over to the modern Durham Bulls Athletic Park (DBAP), a $16-million ballpark opened in 1995 that can seat 10,000 spectators. In a nod to the past, the DPAB still uses a manual scoreboard while the Snorting Bull in the outfield was modeled after a prop in the Hollywood movie. To join other like-minded bike / baseball fans, look for "Bike to the Bulls" promotions at the ballpark, with bicycle valet parking, a goodie bag, and discount ticket and food coupons. Coffee break at Cocoa Cinnamon. You have to love a coffee shop that has trademarked a “bike coffee” logo. That would be Cocoa Cinnamon, located at 420 W. Geer Street. Housed in an old gas station, Cocoa Cinammon is serious about caffeine and features several signature espresso drinks as well as yummy pastries. Cocoa Cinnamon is blessed with good neighbors, all worth a visit, including King’s Sandwich Shop, Geer Street Garden, Motorco, the Pit and Fullsteam Brewery. The old Durham Athletic Park is one block over. Meet the dinosaur on Ellerbe Creek Trail. “Hey, kids, want to see a dinosaur?” Well, of course they do, and it’s easy enough to satisfy that urge in Durham. The four-mile Ellerbe Creek trail is one of the oldest in Durham, and it runs past the Museum of Life and Science, where you’ll meet up with “Bronto” the brontosaurus near Murray Ave.
FullMoonFever -- nighttime bike ride on the American Tobacco Trail. Break out the lights and get ready for a full moon adventure on the American Tobacco Trail. Local rider Branson Kimball is the organizer and offers two moonlit rides – City and Country – of 44 and 33 miles respectively. Other rides around Durham include Adventure Cyclists of Bull City, which offers a social ride and a longer distance ride. Bullseye Bicycles offers a Thursty Thursday Cruiser Ride. The Co-Op and local cycling clubs also host weekly or seasonal rides. The perfect place to Loaf. While you’re uptown on Parrish Street, duck into Loaf for delicious breads or pastries. Baker Brian Avery is a cyclist who rides his bike in the wee hours of the morning to Loaf’s location at 111 W Parrish Street. The shop, owned by Ron and Jaimie Graff, opens at 7 a.m. You’ll want to get there early for warm pain au chocolate or pain aux raisins. Sometimes you may even find Paris Brest pastries on display. Those are named for the famous French cycling event, Paris Brest Paris. 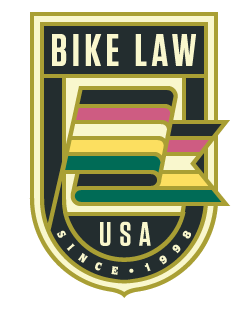 Bike Law is national network of independent lawyers and law firms that share a common approach to the law and to helping cyclists. We are cyclists ourselves and we care deeply about the cyclists in our communities. Bike Law attorney Ann Groninger has offices in North Carolina, including Durham, and she represents Durham area cyclists injured in bicycle accidents. Ann can help you in dealing with the police, insurance companies and civil and criminal courts in Durham County. She has handled numerous personal injury claims related to bicycling accidents and injuries. Please contact Ann today by using this form to report your bicycle accident.